Marquis Theatre, New York, New York. Jukebox musicals seem to go one of two ways: either they tell the life story of the artist(s) at hand (i.e. Jersey Boys, Beautiful, Summer), or they craft some new story puzzle-piecing popular songs throughout (Mamma Mia!, Rock of Ages). Margaritaville takes the latter approach and ends up with a slightly clever (but mostly kooky) book that weaves Buffett’s cannon of classics into coherency. But, if you bought tickets to the show, you likely know what you’re in for, and so go along for the ride anyway. Kelly Devine’s choreography is fun and joyful. 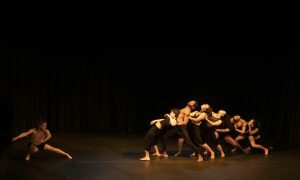 But I also felt as if the dancing stood in the awkward limbo between pure social dance and actual constructed choreography. The dancing felt mostly free and improvised, but moments of unison and “choreography” were such a stark contrast (especially a tap-break à la Something Rotten!…but with less rehearsal). 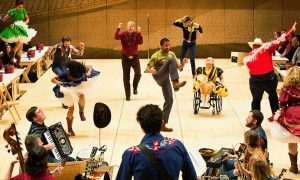 It would have felt more cohesive to see either organic social dancing throughout the show or clearly choreographed “Broadway” production numbers. But regardless of these critiques, you happily buy in to Margaritaville. The show encourages audience participation — singing, cheering and even dancing in the aisles (“fins to the left, fins to the right!”). I smiled watching the woman in front of me bobbing her head to “Volcano”. And I later realized I myself was rocking out to “Cheeseburger in Paradise”. How can you not? 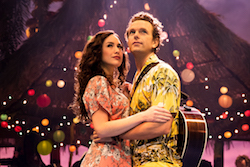 As much as we can complain about yet another jukebox musical on Broadway, I think our energy would be better spent noticing that while critics weren’t on board with Margaritaville, audiences are. 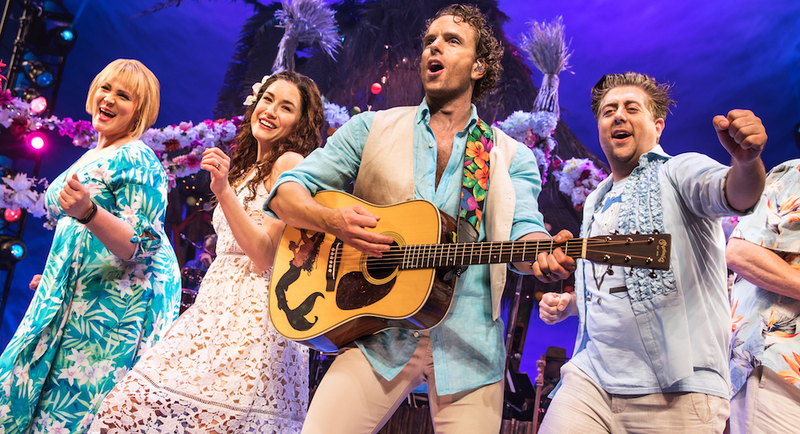 Maybe it’s easier to digest a two-and-a-half-hour musical when you know some of the songs or when hearing that chorus takes you back to a memorable moment in your life. 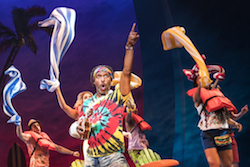 It is not life-changing, but Margaritaville is a joyous distraction from the outside world — and many audiences need that today (myself included). So, I wonder…can the worlds of commercialism and fine art not only coexist but collaborate on Broadway? It is possible, as we’ve seen with Jersey Boys, Mamma Mia!, Mary Poppins, The Producers and others. So, I don’t see Margaritaville as a misstep but rather another decent stab at figuring out this tricky — but magical — equation. The songs of Jimmy Buffett speak to anyone who has ever dreamed of getting away from it all — escaping to a land of happiness and paradise. 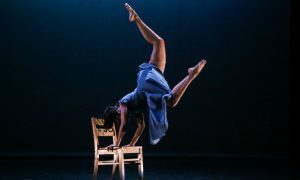 Throughout history (and in this day and age especially), there is something beautiful, joyful and magical about how the performing arts can take us away from the stresses of everyday life, even for just a few short hours. The past few years have been ridden with political turmoil, human rights injustices and mind-numbing acts of violence. The theater can be a place to think critically, understand people who are different from us, tap into our own emotions and interpret meaning in unique ways. But, the performing arts can also bring us simple joys in a world that often seems to be falling to pieces. That’s exactly what I needed on Wednesday, June 20. If you’re feeling the desire to get away from it all, Escape to Margaritaville is set to tour starting fall 2019.